Being one of the most charming towns in Southeast Asia, Luang Prabang, which is cradled in the dramatic Northern Mountains of Laos and recognized as a cultural center in 1995 is judged as the stunning gem of Laos. Considered as one of the top experiences in Luang Prabang, the Sai Bat, which is a living religious tradition, is often first up on the list of top holiday recommendations in Luang Prabang. You should wake up before dawn to observe this daily ceremony with the participants of 1,000 saffron-robed monks who prepare for the single-file sacred parade throughout the town. When passing the Buddhist temples before the Sai Bat begins, you can easily hear monks chanting ancient sutras. When the monks prepare for the walk on streets for their morning meditation, you can hear the banging of a drum. 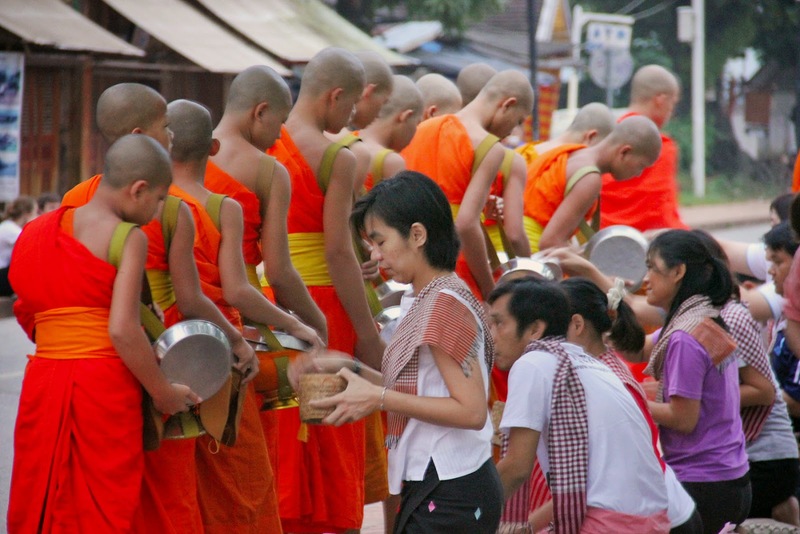 To collect food offerings, alms from local people and tourists alike, monks will walk barefoot for miles through town. To follow the ceremony rules of respect and be in your viewing place early from 5.30am to 6.00am, remember to check with your guide, guest house or hotel. Check with your concierge on reputable services and spas or your guide to rejuvenate your body and mind with a Laotian massage. Combining gentle yoga stretches and pressure point massage to relax the muscles and relieve tension, the traditional Lao styled massage at Amantaka and Belmond La Residence Phou Vao is said to be one of the best spa treatments. 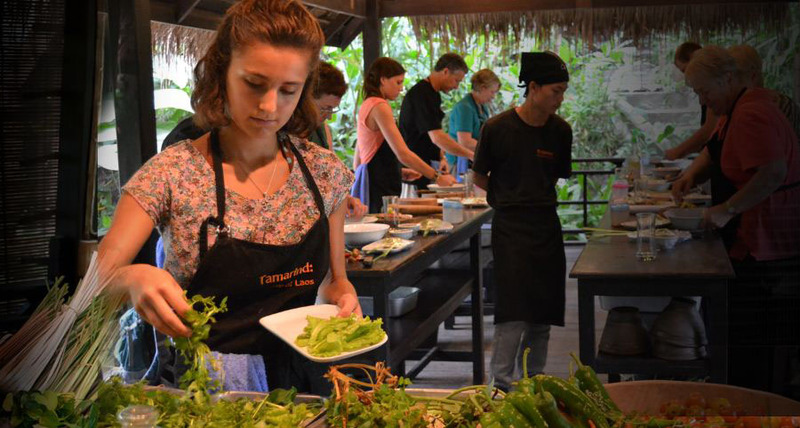 Taking part in an interesting cooking class to know all about Lao traditional food and culinary methods is highly recommended for those who are interested in Lao food. Beginning with a fascinating tour of the busy local markets and ending with a great lunch you have joined to cook, cooking classes are offered by a number of popular restaurants. 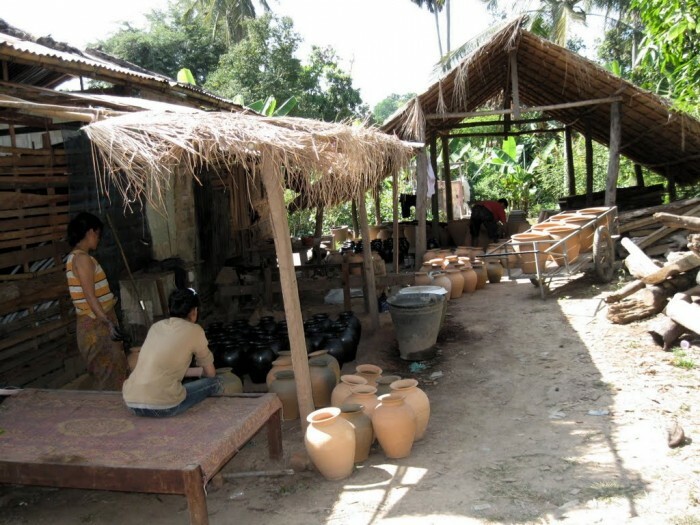 Being a traditional pottery-making village, Ban Chan Village is a lovely village where you can observe pots being hand-thrown and fired in earthen ovens and villagers weaving other traditional textiles and making posa paper made from mulberry bark. Here, you can also see the lamps and pots of the village, which are famous all over northern Laos decorate the small streets of the old town of Luang Prabang. 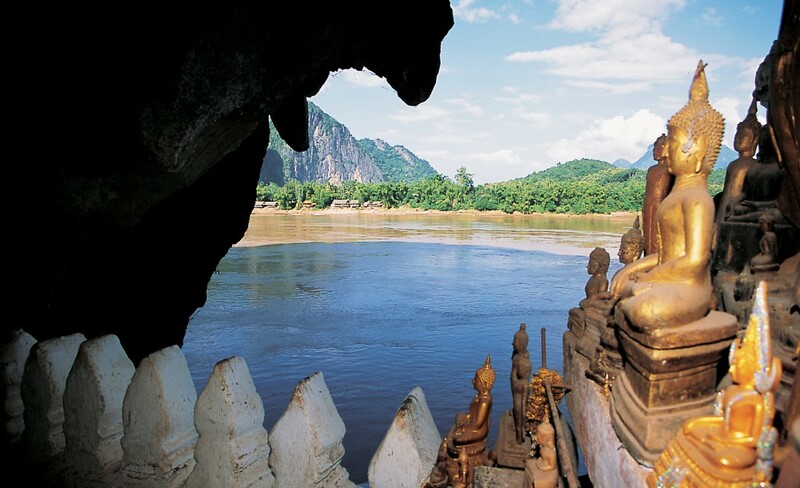 Going by boat, taking a tuk tuk or hiring a car, are the ways to get access to the famous Pak Ou Caves, which are carved into limestone rock along the Mekong River in Northern Laos. Depending on the means of transportation, it will take you from 1 to 2 hours to get there. These caves, which are home to about 5000 Buddha statues, have attracted a large number of pilgrims for hundreds of years.